In September of 2018, I enrolled in a Master’s degree program in a national university in Taiwan with the hope of completing it and continuing to a doctoral degree program. By November of 2018 I was on planned leave to reevaluate this decision. There were many factors involved in cutting short my academic plan, some personal and some part of the larger issues involved in attracting and retaining international students in Taiwan. I will focus on the latter. The school I attended had a relatively large international student population, around 850. The English on that university’s Website was often non-existent or not understandable. Before the start of the semester, it was necessary to choose courses online. I was not able to log in to the English language course selection site, so used the Chinese language site instead. For me, that was not an issue as I can read Chinese, but what about the international students who can’t? Moreover, outside the university’s back gate is a row of eateries, at least several dozen. I tried almost all of them, but came across only two with English-language menus. I often thought about how the international students who don’t speak or read Chinese find food and resolve other issues related to daily life? It must be extremely frustrating. As these students return home, they likely share their frustrations with family members and friends, meaning that study in Taiwan is not promoted favorably. In high school, I had a classmate who was originally refused admission to the college she wanted to attend. She appealed the decision based on her unique ethnic background. The college agreed that she would be an asset in terms of diversifying its student population and granted her admission. Many universities around the world understand that there are students who have special circumstances or unique backgrounds which should be taken into consideration. In Taiwan, admissions of international students are cut and dried. Even if a student could bring great benefit to a university, he/she will not be considered if he/she does not meet the one set of standards that has been in place for far too long. Taiwanese universities need to be allowed some flexibility in encouraging enrollment of the world’s best and brightest. I am a “mature” student. As such, time is not on my side. I had wanted to enter a PhD program right away, as I had already completed a Master’s degree from an accredited institution in the UK 10 years earlier. However, as my degree is from a “flexible learning” program, it is not recognized by Taiwan’s Ministry of Education (MOE), forcing me to start over. 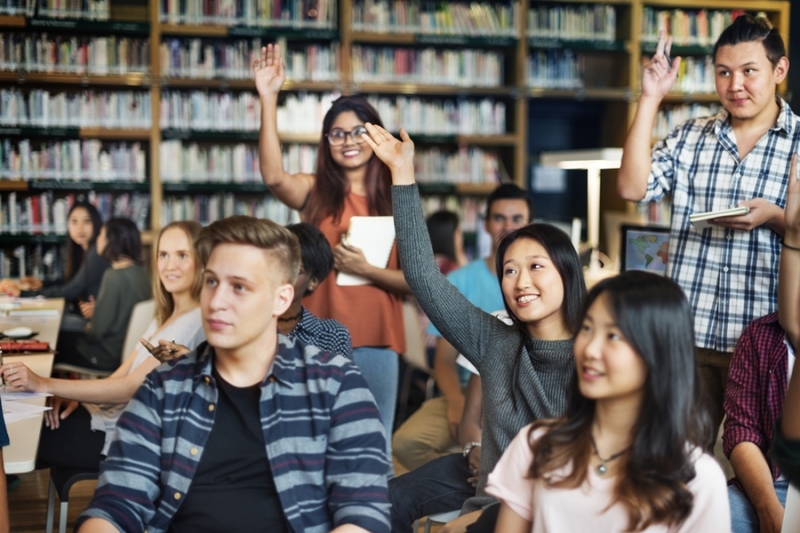 Many universities around the world encourage the enrollment of mature students, as they tend to have a clear idea of what they want to achieve and have rich life experience and a foundation in the field in which they are studying. This brings great opportunity for younger students to understand the practical side of their chosen field. However, mature students tend to have major responsibilities including family, mortgage, etc. In 2006, when I enrolled in my Master’s degree program, I was a single mother with young children. I had to continue working and caring for them. I had also started a business, an online store to sell handicrafts produced by indigenous people in Taiwan. I enrolled in a cultural management program to understand how to better market these products. At that time, there were only one or two programs in Taiwan related to the creative and cultural industries and they were very immature. One of the best experiences to learn from in the cultural and creative industries is that of the UK, which has been a leader in defining and developing these industries. The UK also has an understanding that for students, flexibility is key. It has been a pioneer in the development of flexible learning programs. I not only could study part-time, two years instead of one, but also could stay in Taiwan with my children and focus on indigenous handicrafts here. I had access to all of the same materials as my on-campus classmates and the same requirements for reading and writing of papers, including a Master’s thesis. Therefore, my degree is recognized in the UK, the EU and the US, everywhere around the world, except Taiwan. This is due to the MOE’s residency requirement, meaning that study must take place on campus for a certain proportion of the program. This is an outdated policy and I sincerely hope that the MOE works quickly to change it, to provide more flexibility. This would benefit Taiwanese students, as those who may not have the resources, or who may have family obligations and need to stay in Taiwan, could study in flexible learning programs offered by universities in other countries, enhancing their international perspective. It would also encourage international students in a similar situation to enroll in degree programs in Taiwan. For domestic students without a degree or a degree that is not recognized in Taiwan, there is an equivalency route in which work experience can serve as a substitute. However, this option is not available to international students, meaning that for some qualified students there is currently no choice but to study elsewhere. Realizing that it would be too long of a road to complete a second Master’s degree and then study for a PhD, I left school. Therefore, allowing for special circumstances, would not only lead to more international students applying, but also provide the flexibility needed to retain them. The university I was enrolled in matched English-speaking student volunteers with international students. This was a great program and my student volunteer was very helpful. On registration day, I met her for the first time in person. When I saw no other students with her, I asked if I was her only “client”. She said that she was helping some students from India but that their visas had not come through and would probably not be able to arrive until after classes had started. In the complex near campus, where I rented a studio apartment, several of my neighbors were from Indonesia. One had to leave because although he was an enrolled student, his student visa was for three months and his extension was denied. My landlord told me that she rented to such students on a three-month basis, as they had no idea whether they would be able to receive visa extensions to continue studying. Doesn’t this make it difficult for them to focus on school? Clearly, the MOE and the Ministry of Foreign Affairs (MOFA) are out of sync. If students have been deemed qualified to be admitted to a university, visas should be processed in a timely manner with an appropriate validity period. With the decline in domestic student enrollment and the increase in the number of universities in Taiwan in past years, encouraging international student enrollment is a reasonable strategy. However, much needs to be done to accomplish this in terms of bringing degree recognition and admissions policies in line with current international trends, increasing flexibility of study programs, providing visas with adequate validity periods in a timely manner and offering information and services in English. The good news is that if there is a willingness on the part of the government and universities, these deficiencies can be addressed and resolved.